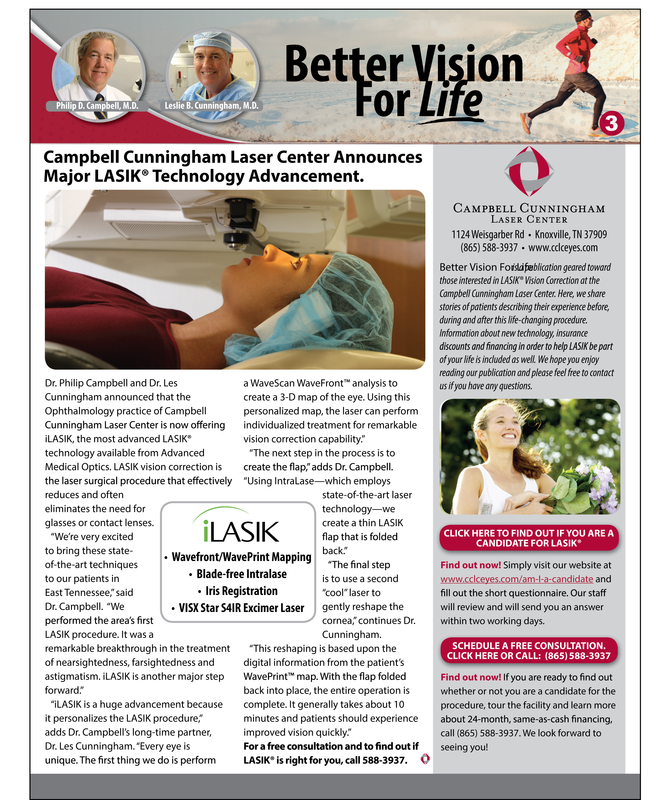 Campbell Cunningham Laser Center Announces Major LASIK Technology Advancement. Download a printable version of this month’s Better Vision for Life Newsletter. 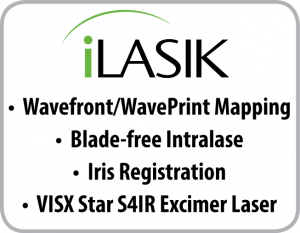 Dr. Philip Campbell and Dr. Les Cunningham announced that the Ophthalmology practice of Campbell Cunningham Laser Center is now offering iLASIK, the most advanced LASIK® technology available from Advanced Medical Optics. LASIK vision correction is the laser surgical procedure that effectively reduces and often eliminates the need for glasses or contact lenses. “The final step is to use a second “cool” laser to gently reshape the cornea,” continues Dr. Cunningham. 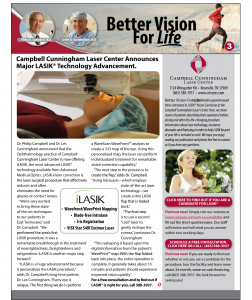 Better Vision For Life is a publication geared toward those interested in LASIK® Vision Correction at the Campbell Cunningham Laser Center. Here, we share stories of patients describing their experience before, during and after this life-changing procedure. 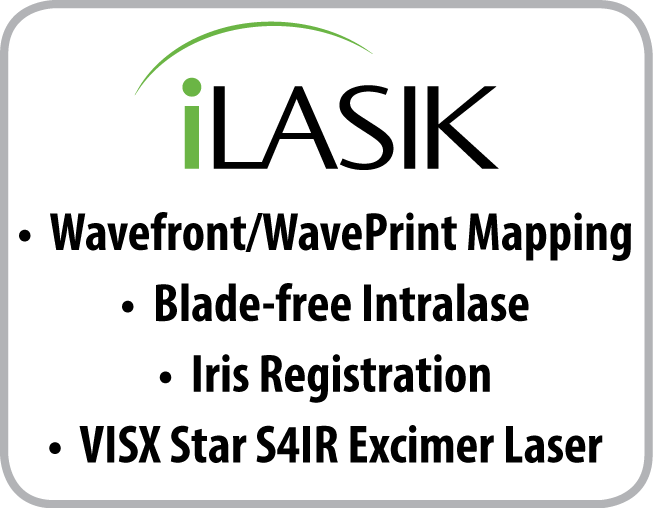 Information about new technology, insurance discounts and financing in order to help LASIK be part of your life is included as well. We hope you enjoy reading our publication and please feel free to contact us if you have any questions. www.cclceyes.com/am-I-a-candidate and fill out the short questionnaire. Our staff will review and will send you an answer within two working days. Find out now! If you are ready to find out whether or not you are a candidate for the procedure, tour the facility and learn more about 24-month, same-as-cash financing, call (865) 588-3937. We look forward to seeing you!